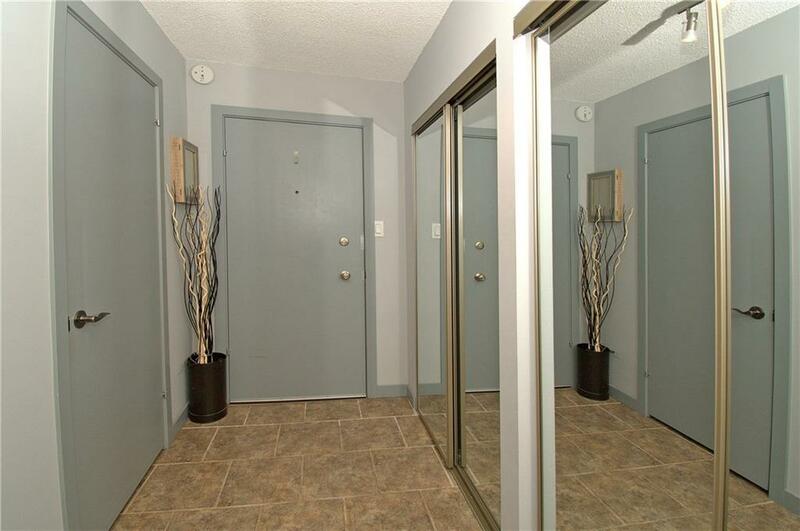 Affordable, updated 2 bedroom condo in desirable inner city Windsor Park w/low condo fees compared to others in the area. 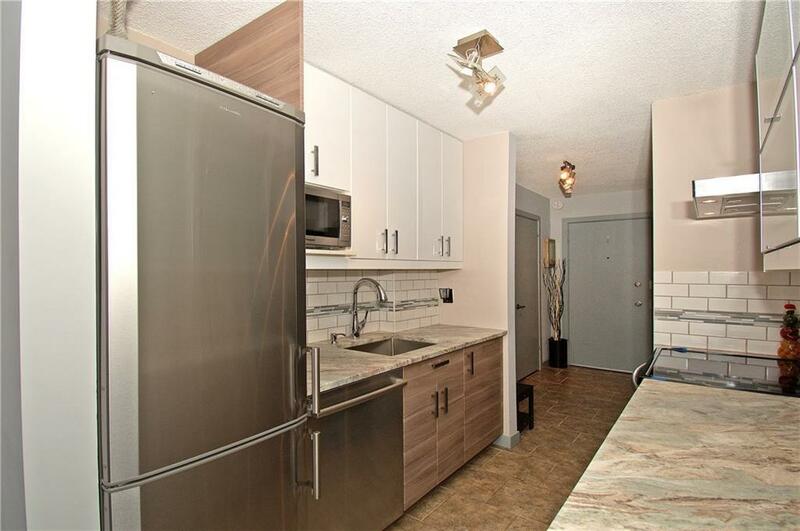 Great location just 1 block from Chinook Center & walking distance to C-Train w/heated walkway over McLeod Trail. 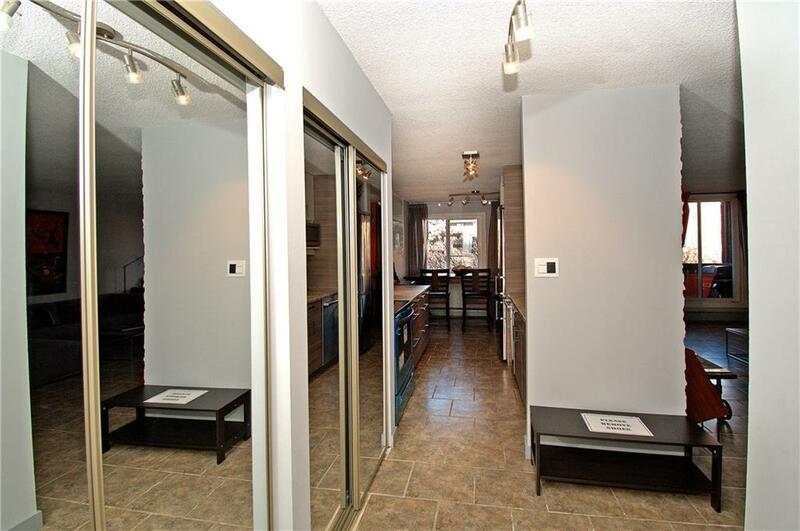 Easy access to Downtown Calgary, Elbow Dr, Glenmore Tr & so many restaurants/amenities! 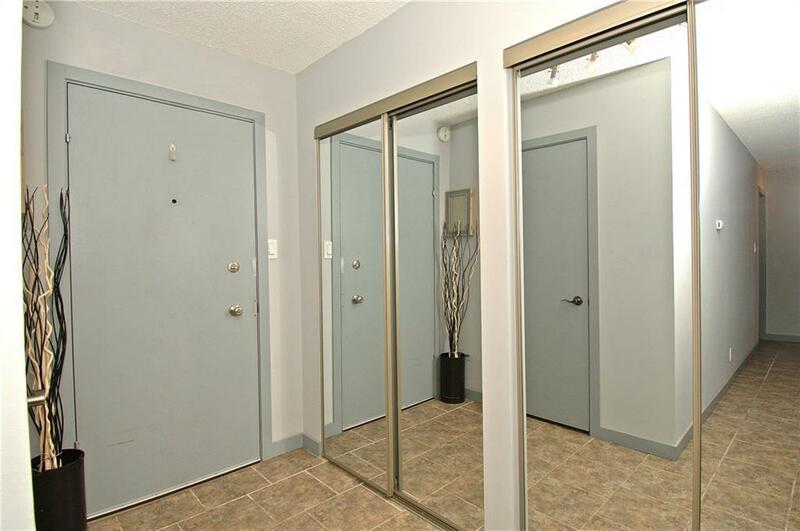 Step inside this modern, tastefully updated home w/double front closets, a tech/storage room that has floor to ceiling built in shelving or convert it to have in-suite laundry (w/board approval). Kitchen includes leather finish granite counter tops, new soft close cabinets & drawers, European style Electrolux fridge, Bosch dishwasher & new self-cleaning range. Family room has a stone/solid wood feature wall that has colour changeable LED lighting around it. 2 good sized bedrooms w/custom built closets. Full bath has tiled shower & opening cabinet above vanity for more storage. Building upgrades include energy efficient windows in 2017 & patio doors in 2016. Covered parking stall too!